Many of us keep our digital images stored away indefinitely on our smart phones, computers and hard drives. Instead of keeping them hidden away in cyberspace, why not celebrate them and incorporate them into your home décor. 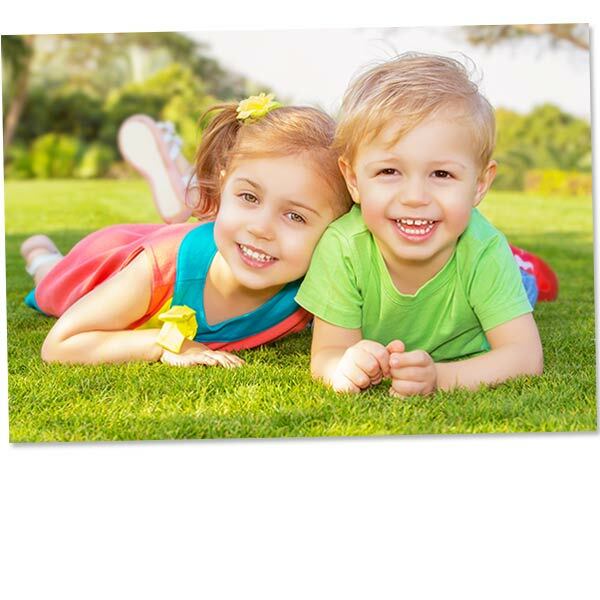 Print a cherished memory on a 16×20 print enlargement and add it to a stylish frame to show it off in its full glory. Not only will it add interest to any living area of your home but you can admire it every day as a piece of cherished wall art. Portrait and Landscape orientations available. Available in a high quality matte finish. Makes the perfect wall art. Once you have an image in mind for your enlargement, simply upload it into your MailPix photo folder. Afterwards, click your photo and then choose the quantity you wish to order. Continue by selecting your cropping method. Finally, review your shipping and billing information and place your order. It’s that simple! In no time, you’ll have a beautifully printed 16×20 of your very own. For even more photo enlargement ideas, check out our wide variety of different printing options to make your photos stand out. Whether it’s your favorite wedding picture, a family beach photo or simply a fun, candid snapshot of your loved one, it’s sure to look amazing with our 16×20 enlargement. Select the orientation that looks best for your subject matter and place your order. Once you have received your 16×20 prints, add them to unique and stylish frames to spice up your wall décor with style. Incorporating your favorite memories into your décor not only adds a splash of color but will lighten up any room with character and personality. Maybe you have a particular wedding photo that you would like to display proudly in your living room. Simply upload it to MailPix and place your order. Choose an elegant frame and hang your wedding photo enlargement above your mantle or on a focal wall in your living area. Your family and friends will admire how your favorite wedding memory looks adorning your living room wall for all to see. Perhaps you are in need of a unique gift for a close friend or family member. Our 16×20 prints are perfect for commemorating a favorite moment and are sure to impress anyone on your shopping list. Whether it’s the holidays, a loved one’s birthday or even a wedding gift, our high quality 16×20 enlargements can be added to a stylish frame and transformed into the ultimate gift. Maybe Mom and Dad have an upcoming wedding anniversary and you want to get them something special this year. Print an elegant photo of them on our 16×20 and present it to them as a thoughtful and unique gift. They will love displaying it in their home for all to see and will cherish their favorite memory time and again. Not only perfect for reminiscing, their new anniversary gift is guaranteed to add personal flair to their home décor. Whether you are simply looking to show off your favorite digital image as part of your wall décor or you are in search of the perfect gift, our 16×20 poster prints are sure to fit the bill. Each 16×20 is printed on the best silver halide paper for bold colors and sharp clarity. With its classic size, you can easily frame your photo with a stylish frame to compliment your home décor or give a great gift that will be admired year after year. With a simple ordering process and high quality printing, you can’t go wrong! Check out our other photo enlargement sizes! We offer everything from cheap 8×10 prints online to 24×36 posters! Find an elegant frame that matches your decor, add your photo print, and enjoy customized wall art that you and your family can admire year after year!